The reconstruction of CC Moore Homestead Park in Elmhurst, Queens will begin construction in early 2019. 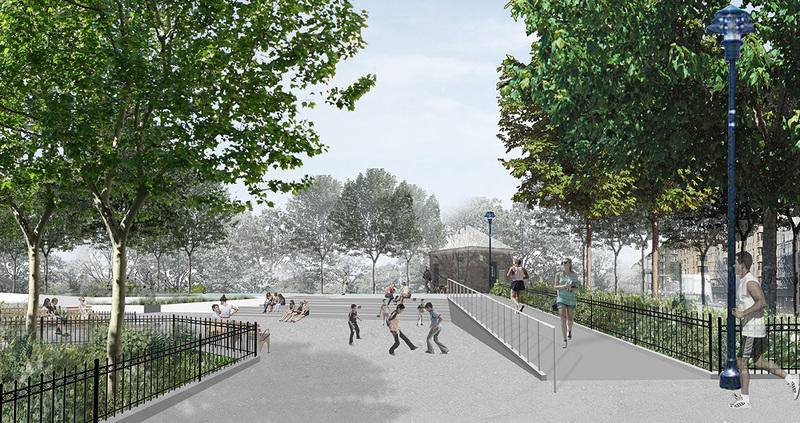 W worked with the NYC Parks department to design the improved park and playground. The revitalized park will have more welcoming entrances with less fencing, more flexible open space, increased ADA accessibility, upgraded play equipment and spray showers, new ball courts a new amphitheater, and the introduction of native plant species to increase biodiversity. The park is popular and well used by the surrounding community but needed enhancements. We designed the park in accordance with the Parks Without Borders initiative to make the city’s parks more open and welcoming.